SFL Health and Wellness Magazine is industry exclusive- featuring just one specialist in each field. It is our goal to promote the individuals and businesses that are providing exceptional health care options in South Florida. 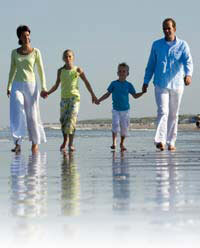 Our articles are written by the health care professionals featured in our magazine. They will explain the newest techniques, opportunities and services being offered in the area. Each month we hope to educate South Florida on different ways to become physically, mentally and spiritually healthy. Each issue provides information that will promote living a healthy, well-balanced lifestyle. Our articles will cover topics such as, but not limited to, holistic dentistry, massage therapy, colonies, plastic surgery, non invasive plastic surgery, cancer treatment, diagnostics, chiropractic, and home health care options. Each issue will also include information and business listings to help readers identify and locate resources necessary in assisting them achieve the healthy lifestyle they desire. 45,000 copies are distributed free to more than 3,200 distribution points including but not limited to hospitals, wellness centers, doctors offices, bookstores, cafes, health food stores, pharmacies and shopping centers. In addition to our print publication, we have a unique website which consolidates and highlights health services and products in South Florida.